An egg-shaped island formed by the two subdivisions of the Kaveri River, Srirangapatna is the historic capital of Tippu Sultan, famed for his brave struggle against the British and his father Hyder Ali. Known for its cultural, religious and historical significance, this town was named after its extremely popular Ranganathaswamy temple. 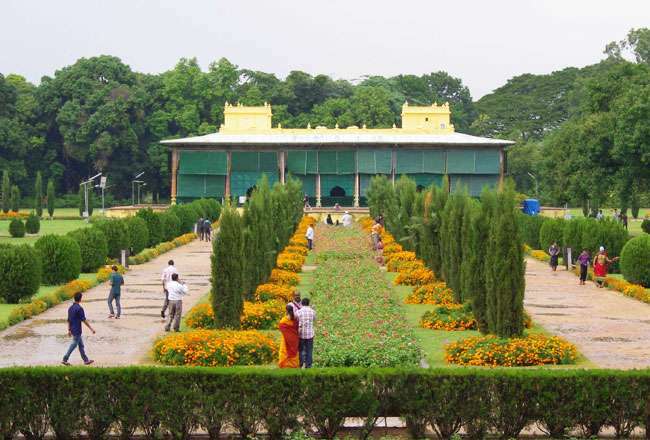 As the city houses a number of tourist attractions, it becomes the perfect cultural weekend getaway from Bangalore. A visit to all of these is a must. You can have a relaxed vacation with your loved ones in the serene town of Srirangapatna. This small island town bustles with tourist activity all around the world. Mysore Juntion (MYS) is a nearest railway station from Srirangapatna, which is located at a distance of 19 km away. There are a few passenger trains and daily express from Bangalore to Mysore via Srirangapatna. You can get aboard any of these. Once at Mysore station, you can hire a taxi to go to Srirangapatna. You can rent a cab. If you are traveling by car from Bangalore to Srirangapatna, opt for SH17 (the Bangalore-Mysore highway), which will pass through Srirangapatna. There is also an option of KSRTC-run as well as private buses. Placed on an elevated platform, the Captain Bailey’s Dungeon is a striking fortress which is built with mortar and brick. Named after Colonel Bailey, this is the fortress where Tipu Sultan used to imprison his prisoners of war. The basement of the fortress consists of the wall with prison hooks where the prisoners were chained. The summer palace of Tipu Sultan, Dariya Daulat Bagh was erected way back in the year 1784. Built in teak wood, it has Indo-Muslim architecture. Placed amidst well-manicured flowerbeds and lush lawn, this wooden palace has walls that are adorned with rich paintings. Treat your eyes to the detailed interior of the palace. 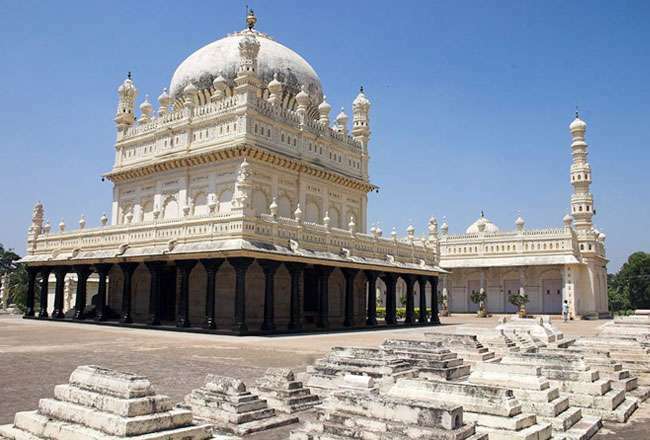 The burial hall of Tipu Sultan, his father Haider Ali and mother Fatima Begum, Gumbaz is constructed on an elevated platform. This striking structure is encircled by tombs of other relatives and nobles. Set amidst groomed gardens, this tomb chamber also has a mosque, Masjid-e-Aksa, nearby. Gumbaz has splendid ebony doors with beautiful ivory decorations. The walls inside are adorned with lacquer Tiger stripes, a favorite of the ruler. Also called the Tipu’s Palace, Srirangapatna Fort is the most popular tourist attraction in Srirangapatna. Constructed in 1537, this palace has Indo-Islamic architecture. The entrance gate of this Palace has bold Persian inscription. 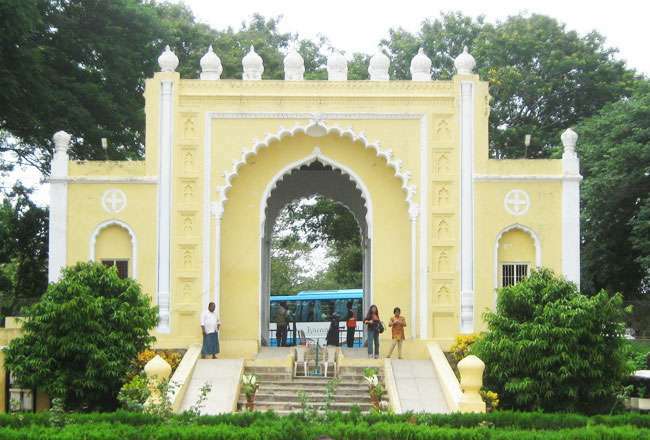 There are 4 gates of Srirangapatnam Fort, based on double wall defence system. The gates are named- Delhi, Bangalore, Mysore & Water and Elephant gates. 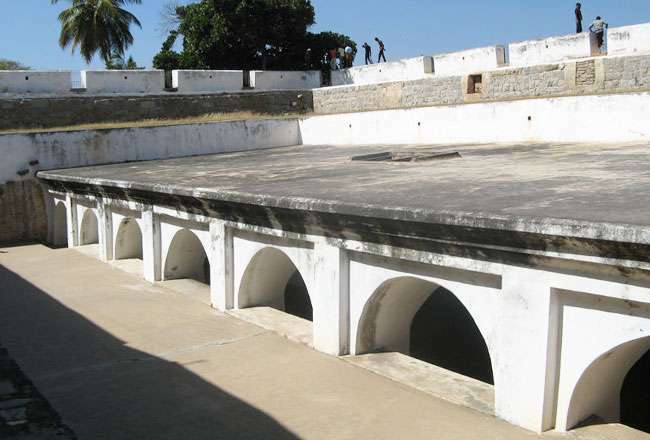 There are several impressive within the Fort complex. 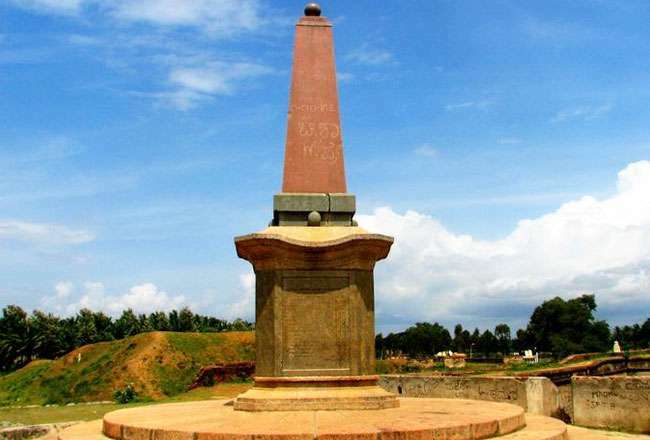 The Obelisk is an impressive structure that is built on the site where Tipu Sultan had breathed his last while he was stopping a British soldier from pulling his famous sword from its casing. He lost his life because he was betrayed by his own people. This commemorative monument is around 220 yards from the dungeon. 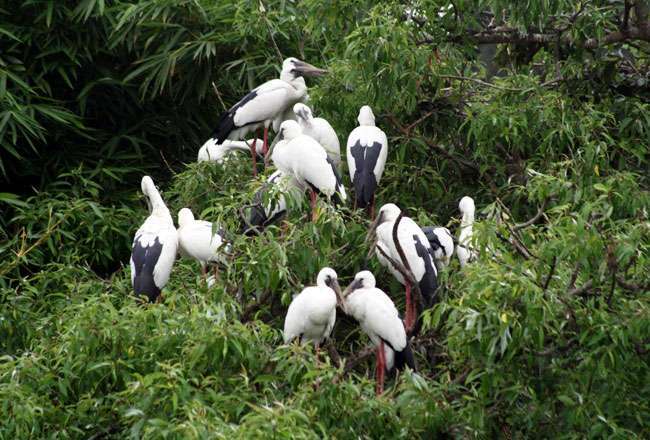 Just 5 km from Srirangapatna, Ranganathittu Bird Sanctuary is a small island sanctuary, which is spread in an area of 57 acres on the banks of River Kaveri. The best time to visit this bird haven is between the months of June to October. This sanctuary is famed for being nesting and breeding center for different kinds of avifauna species. Sri Ranganathaswamy temple is dedicated to Srirangapatna, the presiding deity of Srirangapatnam. The carved-out black stone idol of the lord is placed on the back of a snake. This temple is famous for its Lakhadweepotsava when around lakhs of lamps are lit during the day of Makar Sakranthi. The Puja takes place, twice in a day.